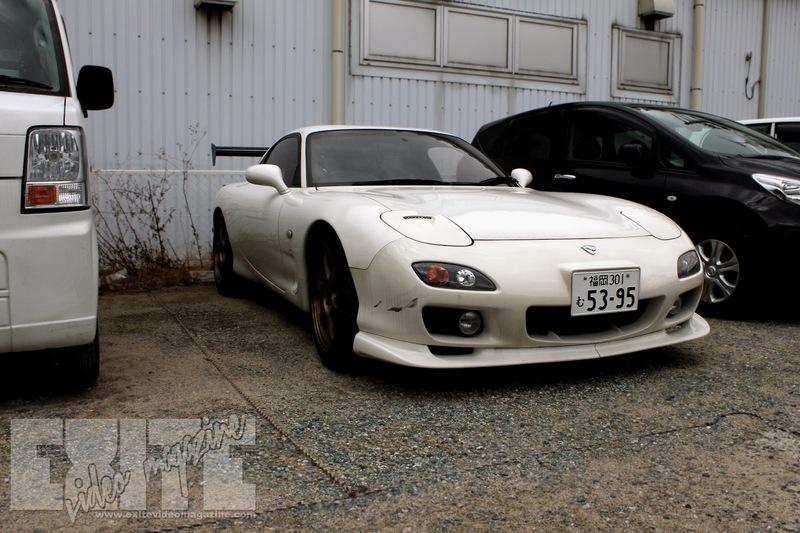 I spotted this late model FD while in Minami-ku, searching for Uras. Simple seems to be the rule of the day, sporting a factory lip, Bronze TE-37s, and what I'm pretty sure is an aluminum C-West GT Wing. It had coilovers, but it was dialed into a reasonable daily driving height, unlike in America, where coilovers are a license to slam. I'm not knocking dumping a car to the ground, I'm guilty of the same crime, but damn guys... on a sports car handling comes before looks. Sometimes too low causes the suspension to perform less than optimally. Finally, you can see the vented headlight cover. This second picture gives us a little bit better view down the side. It also reveals one of my favorite parts of any sports car.... battle damage. By now, it shouldn't be a secret that I love little dings and scuffs on sports cars. 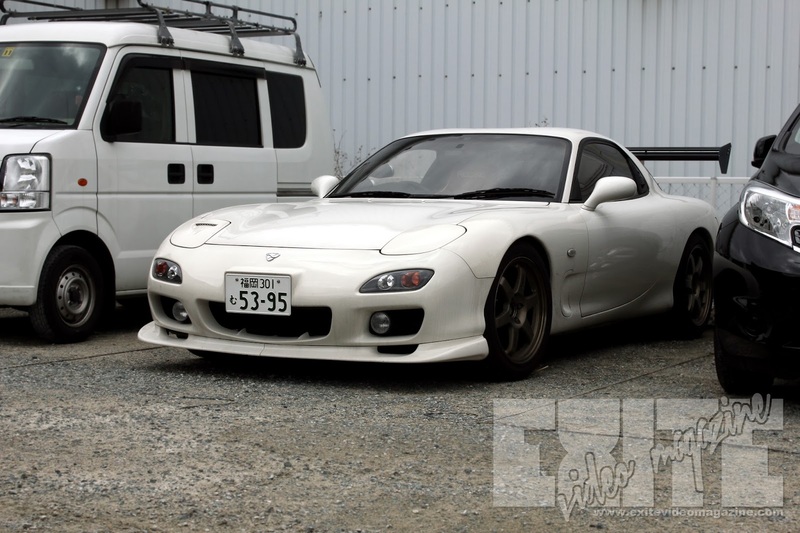 Honestly, it's very possible that the scuff was caused by some bad parking in a supermarket parking lot, but in my overactive imagination it was caused by trading paint while top speed racing down Fukuoka's expressways. What do you guys think? Do you think plain is ok? Or would you do something different? Sound off in the comments below.